Columbus, Ohio…Mount Carmel College of Nursing (MCCN) celebrated the graduation of 69 members of the College’s innovative Second Degree Accelerated Program (SDAP), which is the largest and fourth SDAP class to graduate from MCCN. The graduates received their Bachelor of Science in Nursing (BSN) degrees and pins at a ceremony held on January 28, 2011. The 13-month SDAP program is designed for qualified students who already have a bachelor’s degree in another major. The same classroom and clinical nursing classes offered in the college’s traditional four-year BSN program comprise the SDAP, but are compressed to allow full-time students to begin in early January of one year and finish by late January of the following year. As MCCN celebrates these graduates, the newest members of the SDAP’s fifth class are more than one month into their 13-month journey to the BSN. 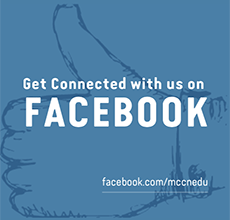 Those interested in information about MCCN’s sixth SDAP class, set to begin in January 2012 are invited to visit www.mccn.edu or call 614-234-5800. 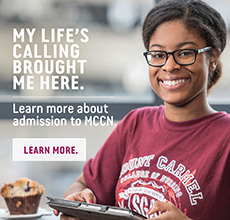 Mount Carmel is a specialized institution of higher education, offering the following programs: Bachelor of Science in Nursing, Master of Science in Adult Health, Nursing Administration, Family Nurse Practitioner and Nursing Education, Dietetic Internship, and an Online RN Refresher Course. A new Online RN-BSN Completion Program is set to begin summer 2011. Mount Carmel has one of the largest baccalaureate nursing programs in the state of Ohio and is affiliated with the Mount Carmel Health System. Founded in 1903 by the Sisters of the Holy Cross, the College is located at 127 South Davis Avenue in Columbus, on the campus of Mount Carmel West Hospital.